Photo: Thanks to Yogi Madhav on Unsplash. 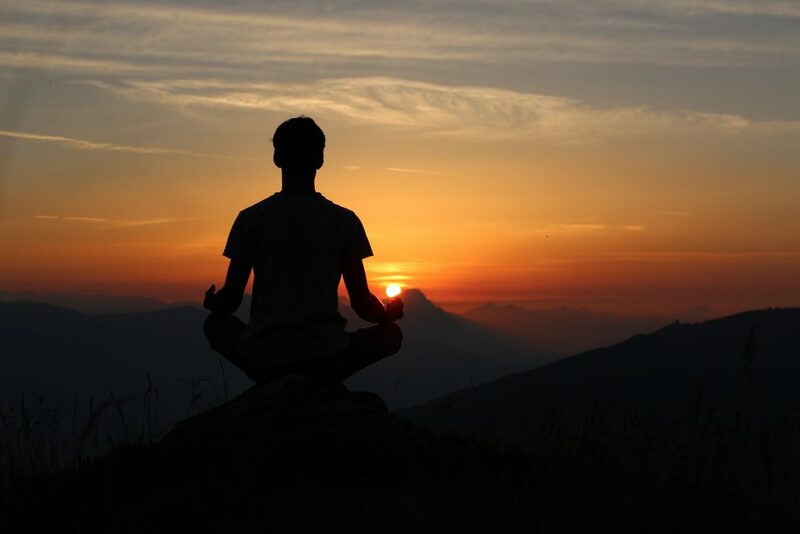 THROUGHOUT THE AGES, the same principles have animated all true religions, including Self-realization, which has brought the world an approach to spirituality that is perfectly adapted to the needs of this age. Click image to visit publisher’s page. 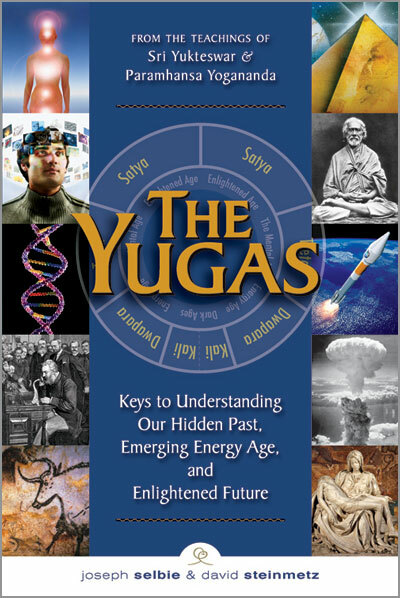 Now that the world has moved out of Kali Yuga and has entered the an age of energy-awareness, known in the ancient scriptures as Dwapara Yuga (approx. 1700 AD to 4100 AD), people are becoming less interested in rigid prescriptions, and are instead wanting to experience truth for themselves. Science has worked hand in hand with these changes. Scientists have looked beneath the outward appearance of things and discovered that the material world that seems so solid and substantial to our physical eyes is actually made of energy. Now that people have begun to understand the need to put their religion on a more scientific, experiential basis, those who continue to insist on blind belief will lose their credibility with seekers who want to base their faith on their own, direct experience. 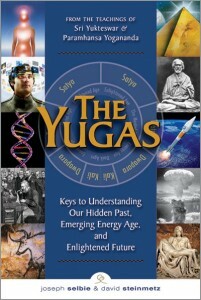 In Dwapara Yuga, religion will emphasize personal experience over rigid rules and dogmas. In the Catholic tradition, the idea was that if you didn’t follow the rules, you would be damned for all eternity. And because it was such an unappealing prospect, good people tried hard not to misbehave, lest they fall off the straight and narrow path and burn in hell. When St. Teresa of Avila was eight years old, she decided that this life was so brief and unsatisfactory, compared to an eternity of happiness in God, that she packed a bag and went off with her little brother to find some Moors, in hopes that they could be martyred and go straight to heaven. It’s an amusing story, but it was actually quite a reasonable plan. Even at a young age, Teresa could see that whatever this life had to offer, it could never compare to an eternity with God. We find ourselves today in a situation where the old, dogmatic ways no longer hold much water for the faithful who’ve accepted the need to test their beliefs. The traditional churches are still functioning, but they’re having trouble holding on to their members. As a result, some of them are becoming increasingly fanatical as their rigid views are threatened. We’re seeing a tremendous polarization, with a powerful, forward-moving force on one side, and on the other a fanatical determination to pull us back into a world where everything is fixed, on the part of people who believe that they’ll get into heaven if they can press us all back into a rigid mold. During a recent class that I gave, a woman talked about her husband, whose way of relating to the world is completely out of sync with ideas of karma, reincarnation, and doing God’s will. She asked him, “Why are you such a good man?” And he replied, “Because that’s the best way to be.” He knew, without having to think about it, that behaving well, as he understood it, would bring him happiness, and behaving badly would give him only pain. It’s not as if we have to tell people, “Don’t pick up a knife and stab yourself.” Because as soon as the knife enters your arm, you realize that it wasn’t a good plan. In the dawning age of Dwapara, our own experience, not the dictates of someone in a position of authority, will be the true test of the spiritual truths. Paramhansa Yogananda came to give us the tools by which we can test the scriptures in the laboratory of our own bodies, hearts, and minds. The reason, as he explained, is that people were making their own experience the criterion for their values. And even if their choices were often terribly misguided and bound to bring them only suffering, they would be able to learn for themselves which behaviors work, in the sense that they reliably bring us happiness. Swamiji said that people can appear to be pious, but it’s often just because they lack the energy or the courage to sin. It isn’t that they’re actually good, but that they don’t have the energy to express who and what they really are. And that isn’t at all the same thing as having a pure heart. Jesus said, “Blessed are the pure in heart, for they shall see God.” But a pure heart is very different from a heart that’s quaking in fear, lest it commit some little mistake and burn in hell for all eternity. Where is the loving relationship with God, in that kind of fear and trembling before Him? Where is there a sense of God’s unconditional love and acceptance? We aren’t truly free, if we’re simply afraid that God will damn us for our tiniest mistakes. On the spiritual path, we aren’t just trying to look good; we’re trying to nurture our deepest natural impulse to be kind and loving, and to experience a profound sense of our oneness with a greater reality. That is true spirituality. Because people can behave well for all kinds of reasons, but if it isn’t actually changing our hearts, it isn’t going to take us very far. He might not remember the events of his former lives, but the impression is there, as a subtle inner knowing that negative actions always have negative consequences. Swamiji talked to a group of us about the time, just after he was expelled from the monastery, when he suddenly found himself on his own. He had become a monk when he was twenty-two, and he was expelled when he was thirty-six. He had lived as a monk in Self-realization Fellowship for fourteen years, and he had known no other way of life. He had never had to earn a living, and he now found himself at thirty-six, separated from a life to which he had been deeply devoted, penniless and friendless except for his parents, who took him in. And he gradually began to find his way. He met an Indian couple who had a spiritual center in San Francisco, and they asked him to help their work. He started helping them, and his father lent him a car, because he had to drive from Atherton to San Francisco. After a time, his father said, “Since you’re driving this car all the time, let me give it to you.” From his father’s point of view, it was a loving gesture, because his son was in trouble and he wanted to help him. Now, if somebody were to be so generous as to give us a car, most of us would feel only gratitude. But for Swamiji, what appeared to be happiness-producing to most people was something else entirely from his point of view. He understood the effects of his actions in a much subtler way, and to have the burden of worldly possessions was, as he put it, a tragedy. But God had put him in this position, so he bravely accepted it and went forward. Now, these are extremely subtle questions of inner detachment. And, from the Indian side, there is a long tradition of sadhus who’ve simply walked away from all their worldly ties. He said, “Like this,” and he took off all his clothes except for a loincloth, and he bowed to his wife and said, “From this point on, I consider you and all women my mothers,” and he walked out the door and never came back. The devotee said, “Thank you, Lord!” and set off for the Himalayas. When Swamiji spoke to us of his feelings at the prospect of owning a car, he was addressing a group of householders at Ananda Village. And at the end of the story, he said, very seriously, “Don’t even try to live the way I live.” He added, “Because you wouldn’t be able to do it, and it wouldn’t be right for you even to try.” And he spoke those words with great power. On one hand, you might think, “But I should!” But we need to realize that the spiritual path is not a question of deciding what I’m supposed to look like, and trying to squeeze myself into that mold. That’s Kali Yuga religion, where you’re supposed to look like someone who goes to church and has a holy attitude and follows the rules. God watches the heart, and the first thing we have to understand is the extent to which God loves us unconditionally. It’s a lot to wrap our heads around, because it’s almost impossible for us to imagine that kind of love. So we learn, step by step, and gradually. At first, we are kind to those who love us, and cool to those who don’t. And even if we’re in a happy relationship, we’re always weighing and measuring. We’re comparing who is good and who is bad, and who’s nice and who’s not. And we literally cannot imagine a love that is never withdrawn, and a level of selfless concern that wants only to help us grow happier, by drawing us toward the light. When Swami Kriyananda was enmeshed in that horrible period of lawsuits and enduring wave after wave of absolutely despicable character assassination, he spent a great deal of time here in our Mountain View community. The courthouse was in Redwood City, and we had to commute back and forth and meet with the lawyers daily. And those of you who were with us during that joyful experience will remember how, every morning, the local rag was printing headlines about us, and everybody was telling us that we were being duped by an evil person and that we were part of a cult. And you get to ask yourself, when you’re receiving that kind of attention, whether you’re really being duped or not – and maybe I just never noticed, you know? He had no answer, and he remained sitting in the darkened room all evening. And then in the morning when he came down for breakfast, he was his usual cheerful self. We would look at him and think, “What’s wrong with you?” And it took me the whole trial to realize that he was just trying to generate a little positive energy; but until then I kept feeling that it was my job to bring him back to reality. That’s something worth contemplating, isn’t it? Because we assume that the saintly person is more beloved by God. But Babaji was telling us that we are all, each of us, living on the same spectrum, from the perfect Self-realized master at one end, to the one who just wants to get for himself and doesn’t realize that other people are being hurt in the process. You can talk to people who’ve committed murders and other terrible crimes, and they literally could not understand that it was a real person with real feelings that they were hurting, and that they had a mother who would weep and suffer terribly. There are moving stories of prisoners who’ve come in contact with their victims’ families, and how it dawned on them for the first time that somebody else was real. Click image to visit the product page. Anandamoy Ma was so detached from her body that if nobody fed her, she wouldn’t eat, because her relationship to her body was so impersonal that it simply didn’t cross her mind. 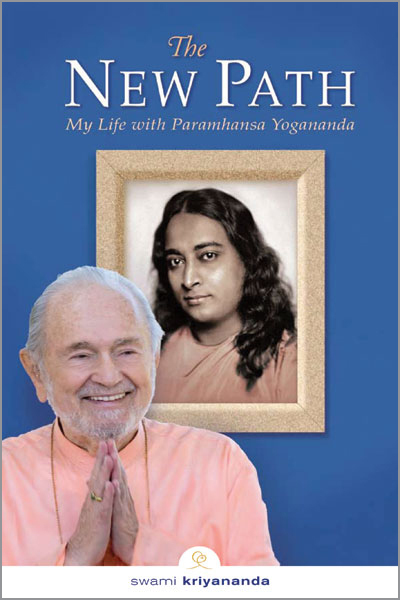 In Autobiography of a Yogi, Yogananda tells how Lahiri Mahasaya was meditating one day, when he suddenly cried out, “I’m drowning in many bodies off the coast of Japan!” And the next day the newspapers reported that a boat had sunk. That’s the upper end of the spectrum, and most of us are somewhere in the middle. We’re limited to varying degrees in how aware we are of our true reality. We are, all of us, like water flowing toward the sea. Not all of us are moving swiftly, and not all are moving by the straightest route. But there is a force that is compelling us to return to our source. We can never stop being part of God, and God never stops urging us to return to Him. This is what Babaji was saying. The lawyers who tried to destroy Swamiji and Ananda behaved very badly; nevertheless, they were having experiences that would help them understand where their true happiness comes from. And would we deny them those experiences? Would we not give them a chance to learn? It didn’t cross his mind to feel angry or offended. The boys were simply having a good time. Now, you could argue that the sadhu should have corrected them, but his consciousness was completely detached from that little speck of his body, and he could see that the boys were only doing whatever they had to do to get the experiences they needed. Now, that doesn’t mean that all of our actions are equally valid, from the point of view of whether they will diminish our pain and increase our happiness. Some actions take us more rapidly toward God, and when you come right down to it, that’s all we are ever trying to do. Every creature, from the humble amoeba to the greatest saint, is trying to get away from suffering and find greater happiness. Swami pointed out that if you prick a worm with a pin it will try to get away. It doesn’t have a very sophisticated intelligence, but it has the same universal desire to escape from suffering and find greater happiness. We are not so different; we’ve just become more sophisticated in our search, and our answers are more subtle. We are attracted to a shiny new car because we think it will make us happy. But Swamiji was repelled by the thought of owning a car, because he had learned that the more he depended on this outer world to give him happiness, the greater the mental and emotional and spiritual burden he would have to carry. Swamiji had to accept the present circumstances of his life. “Now that I’m out of the monastery, and I’m wanting to keep serving my Guru, I must accept the conditions that have been given to me.” So he accepted a life of tremendous sacrifice. It wasn’t a sacrifice in the end, because in creating Ananda for Master, he reaped untold happiness, and to the last minute of his life he was constantly trying to help other people, no matter what it might cost him. Years ago, he was very sick with the flu. He was burning up with fever, and his breathing was labored. But he was feeling bored, so we were reading to him. And then someone banged on the door, and when I went downstairs to answer it, I found a man from the community who was in a very agitated, emotional state. He insisted that he absolutely had to talk to Swami, and I was sort of whispering through the door, “You can’t, because he’s sick.” And then Swamiji’s powerful voice rang out from the loft, “Who’s there?” I told him, and he said, “Just a minute. I’m coming downstairs.” He put on his bathrobe and came down and stood in the hallway talking to the man, showing not the slightest sign that he was ill. After about ten minutes I said, “Would you like to sit?” “No,” he said, “I’m fine.” He had a very intense conversation with the man for nearly half an hour until the man was at ease, and then he came upstairs and took off his bathrobe and got back in bed and was sick again, looking feverish and very ill.
We’re always trying to find out, “What is suffering, and where does it come from? And what is happiness?” We are climbing the same ladder, trying to improve our understanding, and some of us are a little farther along. But at every step of the way, the single most important thing is not to try to be different than you are, but to have the courage to be honest about who and what you are, because the one thing that will sink you is a lack of humility and self-honesty. This is who I am. I am this good and no better. I am this good and no worse. We are all children of God, who is holding our hand and leading us step by step from the point where we are presently standing. And if you have the courage to stand where you are and walk with Him, your victory is assured. God bless you.